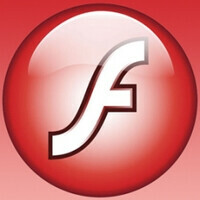 Adobe has once again posted information regarding a malicious exploit for its widespread Flash software. Unfortunately, among a number of other platforms, the “critical” vulnerability can affect Google's Android mobile OS as well. The threat comes hidden inside of a Microsoft Word file containing embedded Flash content. Adobe reports that hackers are already using the exploit in order to obtain personal data by sending contaminated Word files as email attachments. According to Adobe's Product Security Incident Response Team (PSIRT), the security “hole” may be exploited by a hacker enabling them to take control over the targeted device and steal personal data. In order for that to happen, it is required that the victim opens the Word file and clicks on the harmful Flash file, embedded inside it. Luckily, a patch from Adobe is on the way, and the vulnerability only affects Android devices running Flash 10.2.154.25 or a version prior to it. Of course, this isn't the first time Adobe Flash is in the scope of hackers targeting unsuspecting victims. After all, it was less than a month ago when we reported about a quite similar vulnerability. Our advice is to be careful when opening your email attachments, keep your software up to date, and always bear in mind that no mobile platform out there is a hundred percent secure. "and always bear in mind that no mobile platform out there is a hundred percent secure" true, but android is alot closer to 0% secure. Do you want a list of iOS security weaknesses? Do your research to find out which is closer to 0% secure. Never heard of how celebrity iPhones got hacked with gusto? Seems to me that Adobe is trying really hard to prove Steve Jobs right. No Crapple fan, because there are viruses for your icrap out there too. you cant see sarcasm can you? So, as long as we don't open the word file and select the link we're fine? Thought the security “hole” is bad, this sounds fairly good to me. There are always going to be security issues like this. Everyone should be smart enough by now not to open any attachments from unknown senders. The day they remove "contents may be hot" from the Cup-O-Noodles packaging after you remove it from your microwave, then I will believe "...Everyone should be smart enough by now..."
What's the point of exploiting software that few people actually own and use? That's the biggest reason why there aren't many bugs for Macs...not because it's more secure than windows, but because it's more beneficial to exploit Windows...the majority. compared to the multiple posts weekly on Android vulnurabilities, you bring up 1 post from 6 months ago. yea android is about as secure as a glass safe. Adobe, well done. If nothing else, you are coming out and letting us know "Hey, there might be a way people can get in here and steal your stuff. Watch yourself." Most companies would rather just sweep that under the rug and ignore it, and just launch an update. Agree! Unlike another company who can't even admit they made a major hardware design mistake. You're obviously one of those people who don['t know how to hold a godphone right. I hold `em as I want `em. No need for a "god" to tell me how to hold it right...and I can touch it anywhere I want...yeah, even there! LOL! Do you ever make a comment about Android that is not negative? No... and he also does not make a comment that is beneficial to the conversation or article... ever.